Successful businesses know that all our energies should be directed towards providing the best service and product for our customers. However, before we can provide our customers with the best, we have to be in the best shape possible ourselves. Running a business, whether it’s with a staff of 5 or 500, needs a proper infrastructure, and your telecoms - from the fixed landlines in your office to your data storage in the cloud - form the bedrock of a good business model. Once you have these vital elements in place you are then free to meet your customers’ needs and grow your business. It’s important from the offset to avoid a telecoms-sized spanner in the works that takes your eye off your business and drains your physical and financial resources. Many of our very satisfied customers at Source Telecom have shared their network provider experiences with us. They had randomly chosen a network provider to handle their telecoms solutions without ensuring the provider was meeting their exact business needs. They were then lumbered with an expensive contract that didn’t perform well within their unique business model. They lost time and money, and their customers suffered. Telecoms solutions differ from business to business. Knowing this key fact and knowing how to act on it is one of the fundamental principles of how the team at Source Telecom works for you. We excel at providing the best solutions for your business, providing a fully comprehensive service that takes all your logistics, your contracts, your data needs – everything you require to run your business – and do it all for you. It is good practice to leave your business solutions in our capable hands while you concentrate on what you do best. At Source Telecom, every single member of the team and every member of our carefully chosen technology partners offer a bespoke service. They are the best at what they do because our reputation depends on it. 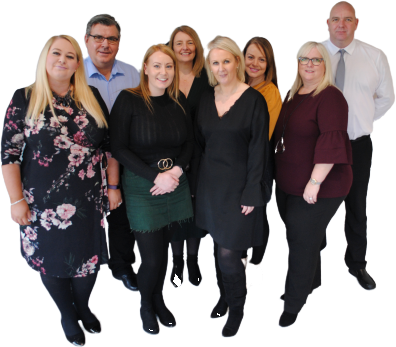 Based in Scotland with clients throughout the UK, they’ve worked at Source Telecom – and are happy and proud to work here - for a considerable part of the company’s 12 years’ existence. We are up to date with industry developments, a healthy sign in today’s fickle job market. It’s all about the customer service because it begins in the Source workplace. If you believe as we do that exceeding customer care expectations is the cornerstone of good business, then longevity and growth are yours to be enjoyed with Source Telecom.